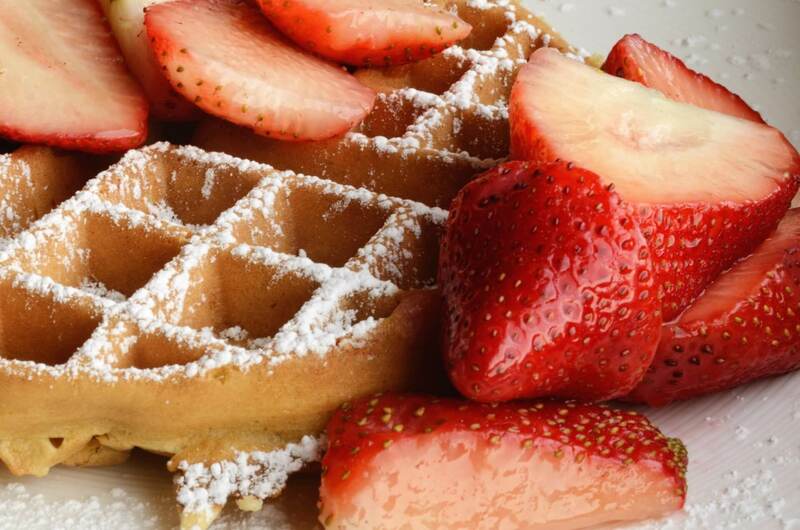 For this special waffle topping, we borrowed from the Pennsylvania Dutch way of serving waffles with stewed chicken. 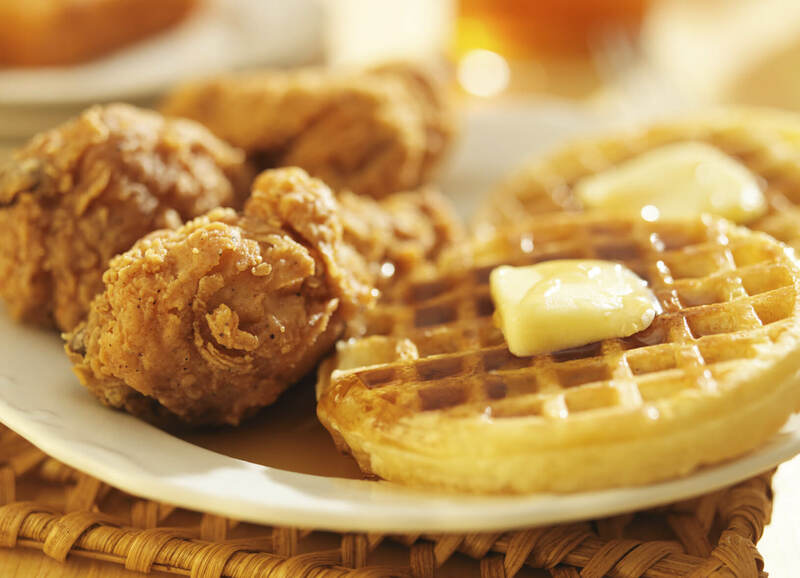 Everyone will love the sweet, spicy and crispy combination of the herbed fried chicken and Chipotle flavored maple syrup with the waffles. 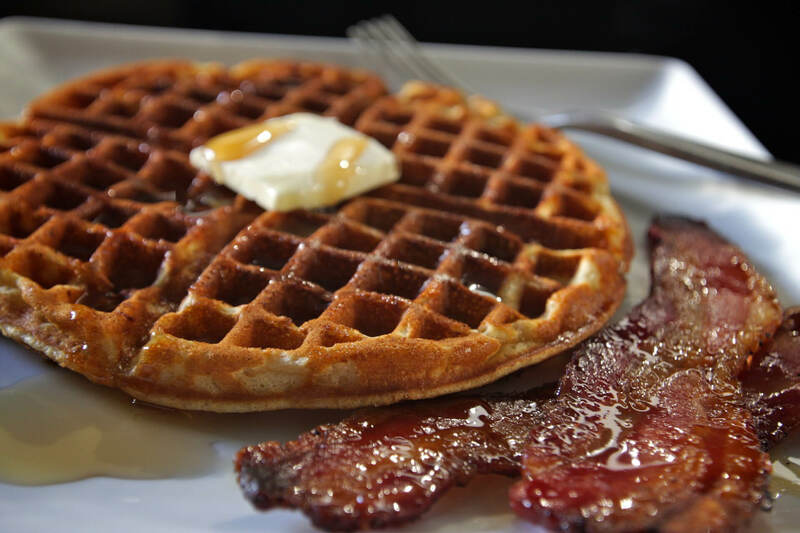 Match sweet, crispy Belgian waffles with crispy bacon toppings for a delicious burst of sweet, peppery and savory flavors. 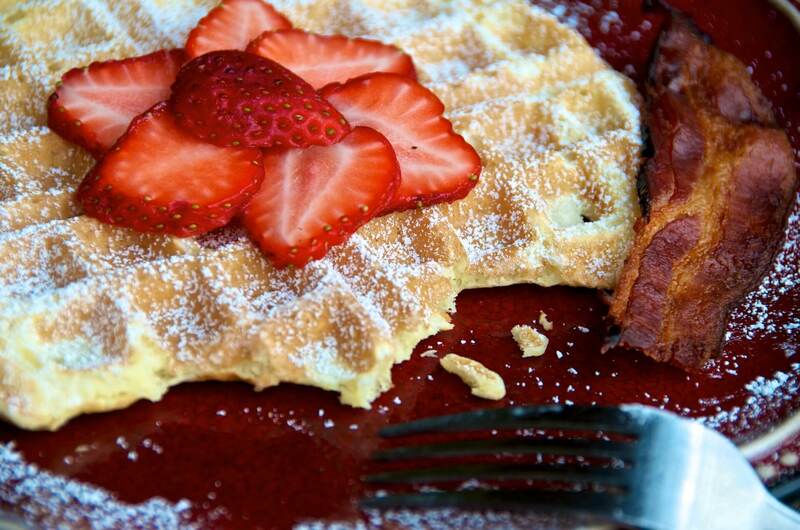 These waffles can be frozen and reheated in a toaster oven, toaster or oven.